Today we are gonna talk about the direction of the site. If you are a longtime visitor of LatinoGamer.com, you may have noticed that it has been a good while since I have posted a straightforward review, which was the original purpose of this website. The site has undergone some restructuring, we have received more opportunities to attend events and Dpad Daisy has come on to give the site a second voice, so I have had to decide exactly what direction LatinoGamer.com should take. As an important part of this, I have been putting a lot of thought into what style of review scoring, if any, I want us to implement. I started putting videos on YouTube almost three years ago and these reviews did not include any sort of numerical scoring. This is because I felt such systems were not actually all that helpful. After all, you cannot really convey the quality of a game against all other games in a linear fashion. Instead, I made it a point to say who I believe would or would not enjoy the particular game. This approach was much more flexible and made the most sense to me at the time. Moving forward, I realize that readers today expect to see some sort of score given how much of a standard it has become. However, there has also been a lot of negative discussion recently in regards to reviewers’ scores, much of it stemming from an oversaturation of high scores leading people to believe that only “9’s” and “10’s” and worth playing. I do like the “hybrid” system that Blistered Thumbs and ScrewAttack use in which they award games both a numerical score from 1 to 10 as well as an author’s recommendation such as “For Fans Only!” or “Rent it!” This allows a game to receive technically-average score, but a recommendation to buy due to originality or because the author feels it is of great value while a technically-superior game may receive a higher score, but a recommendation to rent due to brevity or not being on an ideal platform. With this as a starting point, I set off to develop a system that could be more expressive than what has become commonplace. Ultimately, the biggest flaw in the standard 1-10 system is that you cannot express something as multi-faceted as a video game – taking into account narrative, aesthetics, music, ambiance, genre, control and fun factor – on a one-dimensional scale. The following is the review structure and scoring system we have decided upon for latinogamer.com. This is just the facts. Perhaps you are a fan of a certain developer or maybe you are a parent and want to know the rating right away. Naturally, this will be the bulk of most reviews. Here the author of the review goes over the controls, mechanics and modes of play, discusses the content, length, difficulty and – most importantly – overall fun factor of the game. This is basically the closing comments. Is there something unique about the art style or soundtrack? Does is have any other noteworthy aspects? Is there something outright offensive about it? Most importantly, who would or would not like this game? Maybe the author feels very strongly that one should play the previous entry in this series before trying this one or only if they have played other games of similar difficulty. 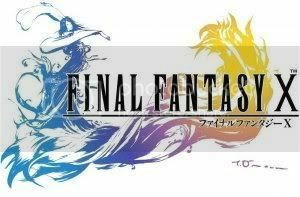 In this case, I have given Final Fantasy X a nine for fans, because I believe it is a great RPG that fans will get a lot of entertainment out of, but a six for non-fans, because it is still a very straightforward RPG that will be only slightly above average for those who have not been fans of RPGs in the past. 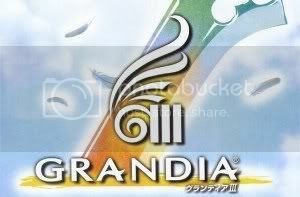 On the other hand, Grandia III is still a really great RPG, but does not give you as much “bang for your buck” so it gets and eight for fans. However, it is still a seven for non-fans since I feel it is more likely to appeal to them than Final Fantasy X due to originality. This illustrates how two games can have different scores without one necessarily being ‘better’ than the other. This will also be followed by a “thumbs” up, middle or down and, optionally, additional author’s remarks. This allows us to, for example, give a game high numbers as well as a “thumbs down” and a “skip it” because we feel it is technically superior, but have some other strong reason to dislike it or average numbers as well as a “thumbs up” or a “must buy” because, although it is technically average, it is so unique that you really should play it despite the flaws. Also, whenever more than one of us plays a game we will have additional score set as a second opinion listed on the same review. This may also be done retroactively if one of us plays a game later. This is the system we will be using from now on whenever Daisy, I or anyone who might join us in the future posts a proper review. This does not mean we will not also try out different ideas (retrospectives, snapshots, comparisons, essays) or alter this system in the future, but that is it for now. For future reference, the system breakdown will also be added (with greater detail) as a tab on the navigation bar. We hope you will all find this useful and, of course, we welcome any feedback. Thank you.